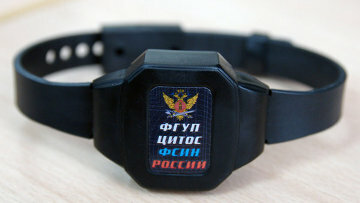 Investigators probe $32 mln e-bracelet fraud | Russian Legal Information Agency (RAPSI). MOSCOW, March 29 – RAPSI. A criminal case has been opened into suspected fraudulent financial operations inside Russia’s Federal Penitentiary Service (FSIN) involving the purchase of electronic tracking devices for tagging convicts, the Investigative Committee said on Friday. Investigative Committee spokesman Sergei Stukalov said FSIN officials had failed to hold an open tender for a state order for e-bracelets, as the devices are known in Russia, and had instead signed a number of contracts beneficial to an affiliated firm, which resulted in vastly inflated costs. FSIN officials also overstated the need for e-bracelets and knowingly ordered more devices than were necessary, Stukalov said. Investigators said earlier this year when they launched the probe that the scheme had cost the state some $32 million and that the electronic bracelets had been ordered by the FSIN’s former head, Alexander Reimer, and his deputy. The probe into the case was opened after two FSIN employees were detained on suspicion of extorting $2.6 million from a businessman in connection with the purchase of the bracelets. An investigation also revealed that the tracking devices were not linked to GLONASS, Russia’s answer to the US Global Positioning System, or GPS, and were effectively useless. The revelations came to light during a much-vaunted Kremlin anti-corruption campaign, which reached as high up as the ministerial level, leading to the resignation of the Defense Minister last November. Russia consistently hovers around 150th place in the Berlin-based NGO Transparency International’s corruption index.